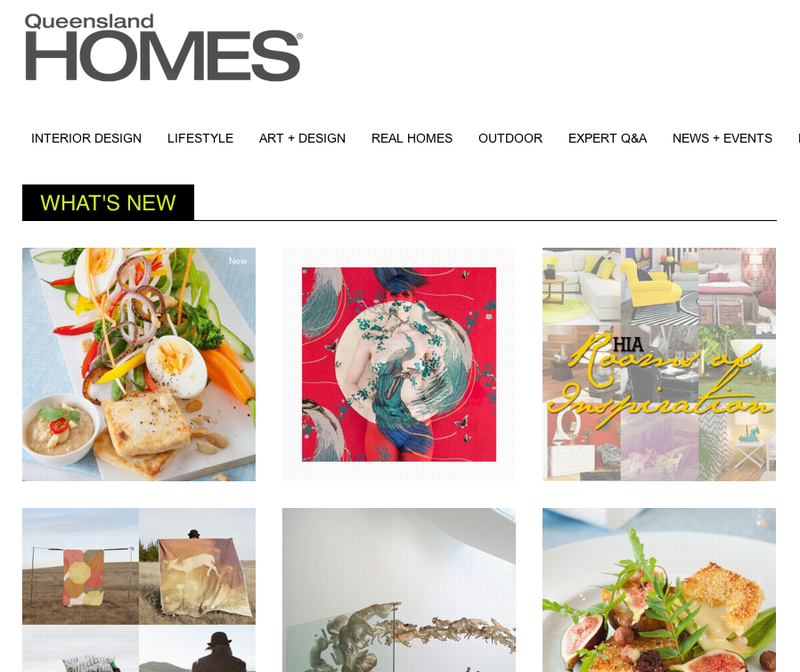 Queensland Brides: Cakes and Bouquets? Do it Yourself! 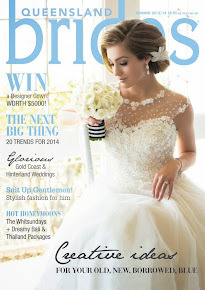 Over the course of this week we've brought to you a bunch of different DIY wedding ideas, and today is no exception! Another fabulous incorporation of DIY into your wedding is by mixing up the traditional floral bouquet with something a little more fun. 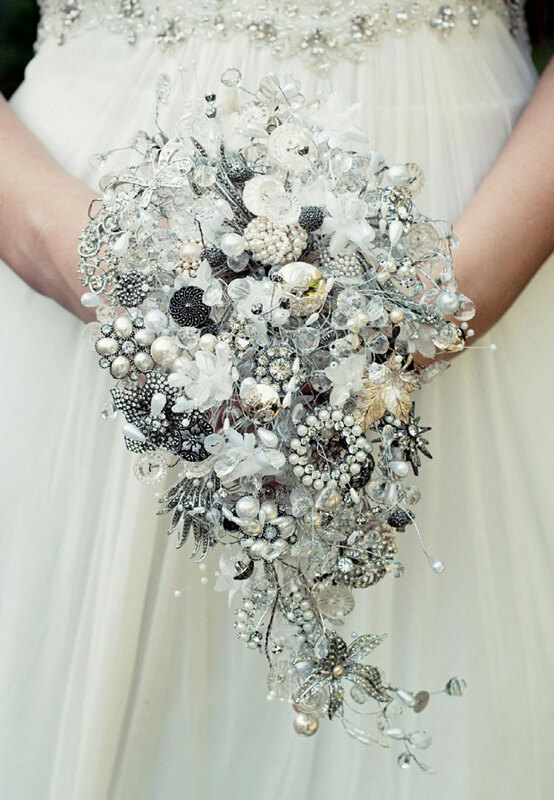 Bouquets made out of non-floral materials have become more and more popular in recent years, and they truly are a great alternative - particularly for a bride who has allergies! 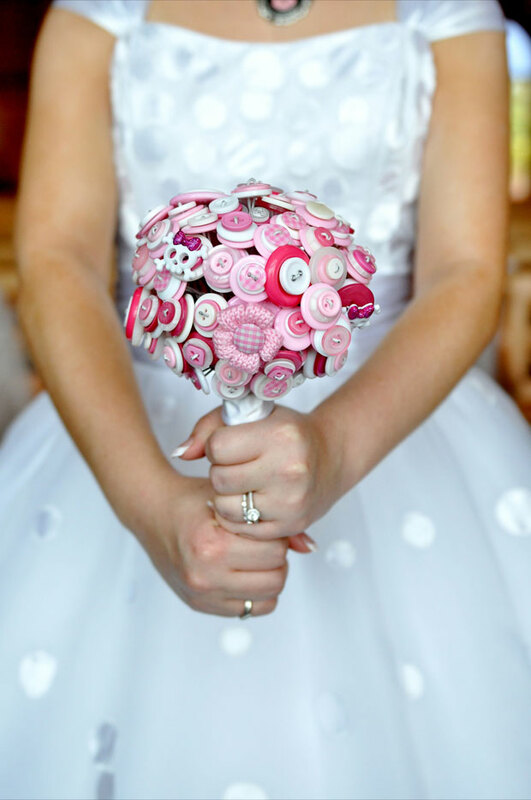 This button bouquet was made for Leah and Jamie's wedding, Leah says that they didn't do DIY to save money, but as a way to express themselves. 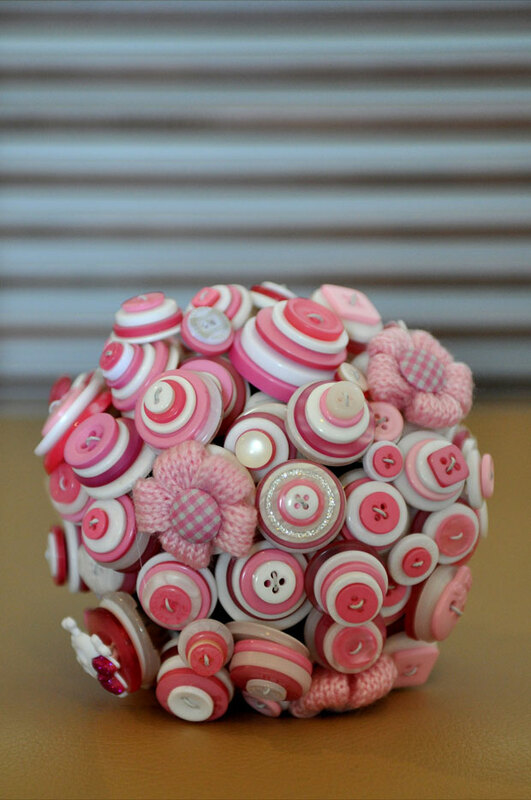 The reason they decided on button bouquets was because Leah hates flowers! "I'm also allergic to them so I wasn't going to have a bouquet at all. But my husband insisted I shold have something to hold, so he made me and my bridesmaid button bouquets. There were all sorts of pink and white and silver buttons including croquet ones and a few skulls to fit our Friday 13 theme." 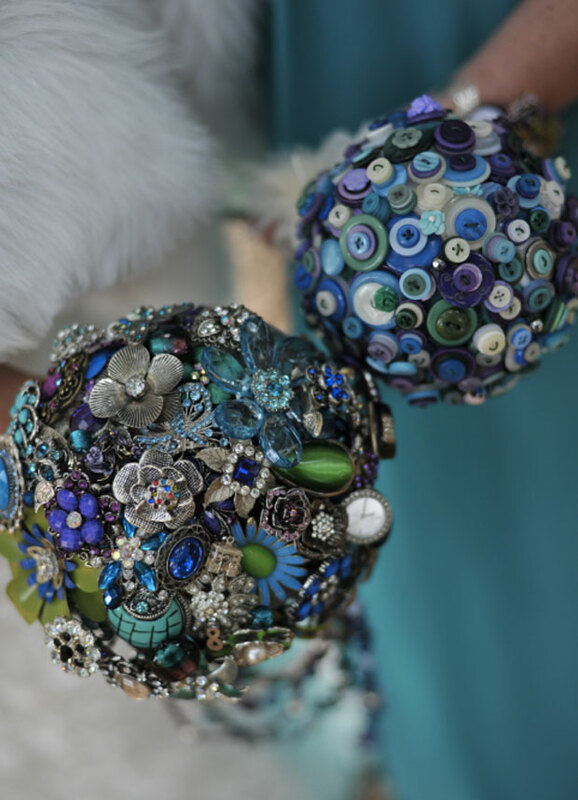 For her chic homestyle vintage wedding, Sheridan spent time making her jewelled bouquet and the button bouquets of her bridesmaids. 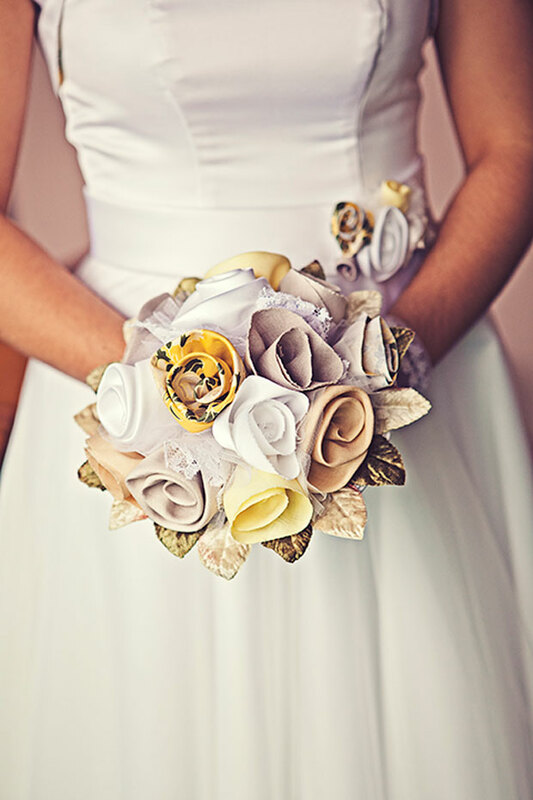 Lauren's bouquet was made out of fabrics from each of her bridesmaids dresses, as well as her own. The great thing about these bouquets is that they are timeless, you can keep them for reminiscing in later years, or even share your bouquet with a friend or family member. Twahnee suggests storing your bouquets with incense, "would you believe they still have a lovely scent." 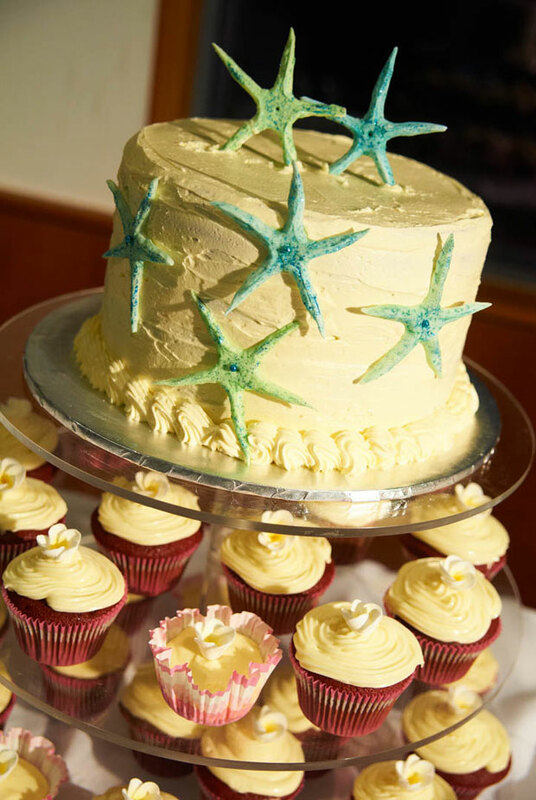 Cakes are another outlet for the creative bride. 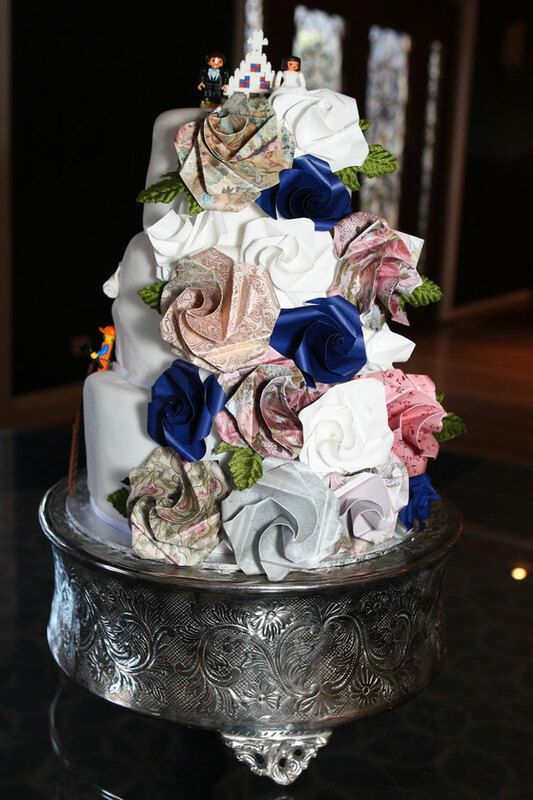 Urszula made her very own wedding cake for her wedding day. "I had never really done any cake decorating and certainly had never made a wedding cake, but I really wanted to make ours. 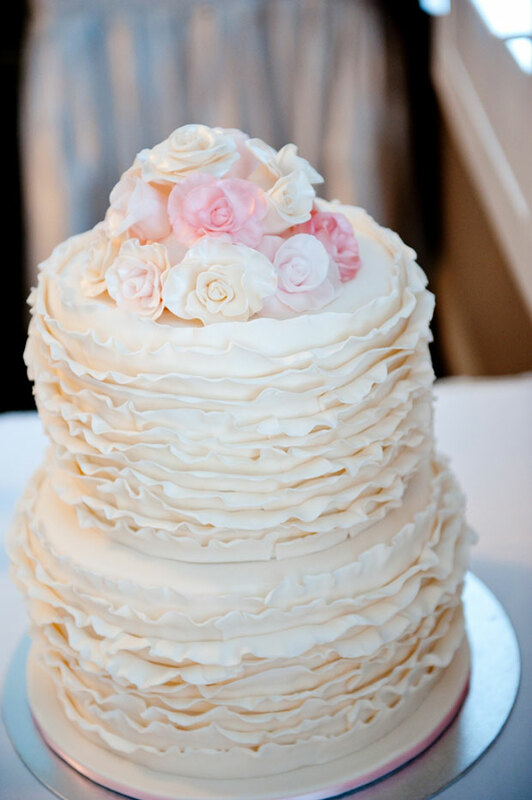 I started practising months before and then made our cake during the week before the wedding. While it added a tiny bit more stress to that week, it was absolutely worth it and turned out exactly how I wanted it to." A little more practically, this cake stand was made for Leah and Jamie's wedding. Jamie "designed and constructed our amazing cake stand. Our cake maker had never made them before so had nothing suitable for them [cake pops] to be presented on." 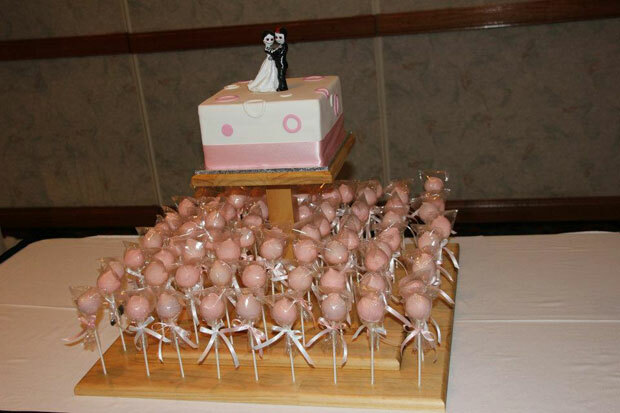 The cake stand was "Built with wood and screws, sanded and lacquered with 80 small holes drilled into the 2 lower levels for the cake pops to stand." For Selina and Brian's wedding they "wanted to incorporate origami into the wedding, so the white flowers in all the bouquets are all paper origami flowers and the wedding cake was all paper flowers." DIY doesn't always have to be the bride or the groom to be. Family and friends are great to recruit into any DIY projects you attempt. 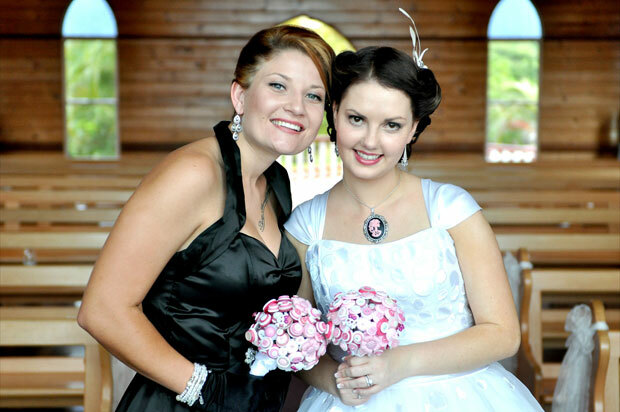 Amanda says that for her wedding to Craig, "My aunt, Diane Williams, made the cakes and she also, along with my other aunt, Della Lynch, and their husbands, set up the reception area for us."